Design a breakthrough in organizational, management, leadership, financial, governance, technological, or programmatic problem facing organizations and the human service field. As the late management guru Peter Drucker said, “Innovation is change that creates a new dimension of performance.” To support innovative leaps in nonprofit organizations, the Greater New Orleans Foundation Organizational Effectiveness Initiative is sponsoring Pitch It! 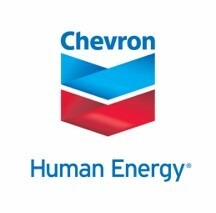 The Innovation Challenge 2018 with funding from the Kresge Foundation and Chevron. The Greater New Orleans Foundation will fund an innovative and bold approach addressing a technological, organizational, management, governance, leadership or programmatic issue and/or problem facing your organization. Examples include how to rethink your service delivery model, find a new approach to a long-standing nonprofit need, manage cash flow, use technology to drive program delivery, try a new approach to funding, develop an earned-income stream, collaborate with other like-minded organizations, develop a data tool to drive decision making or redefine your measure of success. The top prize is $25,000 with $7,500 to second place and $5,000 to third place. With this seed money, the winning organization will implement an innovative idea and build upon its findings. One of the functions of the Greater New Orleans Foundation is to increase organizational effectiveness (OE) in the nonprofit sector. Organizations that are working to meet human needs require support to adapt to the ever-changing economic, cultural, and environmental landscape. With Pitch it! The Innovation Challenge we want to help our nonprofits push their current thinking, practices, tools, and approaches thereby furthering their capacity and effectiveness. Just as importantly, the opportunity to take a risk and think outside the box may well catalyze other entities to take their own innovative leaps. Together, this will lead to a strengthened network of nonprofits willing to share new ideas and practices that work for a healthier nonprofit eco-system and community. This challenge aims to implement a simple and focused innovation. The objective is to push nonprofit organizations to re-think, re-frame, re-position and re-imagine how they carry out their business and advance the mission. The outcome of Pitch It! The Innovation Challenge 2018 is to spur your nonprofit organization to deploy your smarts and innovation to the common and complex problems facing your nonprofit (management, leadership, governance, adaptive or program) and develop a bold innovation which leads to a more sustainable and effective organization. Additionally, the innovation can serve as a model or catalyst for other nonprofit organizations to create a profound change in the way our region’s nonprofits approach their work by sharing ideas that can take root, spread and impact others dealing with similar issues. Any 501(c)3 that is headquartered within the region served by the Greater New Orleans Foundation and is in good standing with the IRS is eligible to apply. A cohort of organizations may apply. This cohort must include a lead 501(c)3 nonprofit working with a government agency, academic institution and/or private sector organization that cares about innovation, human service, capacity-building, and has the willingness to work collaboratively. The lead applicant for a cohort must be a nonprofit within the aforementioned parameters. While any nonprofit can apply for Pitch it!, priority consideration will be given to organizations in the Human Services field or those nonprofits who deliver programs and services with a human service benefit. Only one idea per organization will be accepted so bring your best idea forward. Part 1: Applications will open July 2, 2018 and close July 31, 2018. Nonprofit organizations submit a simple and focused description of their innovative idea that addresses the challenge objectives and outcomes. Three finalists will be selected by a panel comprised of innovative national and local philanthropists, business and community leaders. The three finalists will “pitch” the final “big idea” to a judge’s panel on Thursday, October 4, 2018 from 5:00-6:00pm. The three finalists agree to share their innovation and learnings with the Greater New Orleans Foundation, its grantees, and others to help other nonprofits innovate. We will profile the finalists on our website. All proposals received will be highlighted on GNOF’s website—the organization’s name, along with the headline of their big idea. Fees for memberships, dues, subscriptions, etc. Funds provided to winning efforts are intended for use in implementing the bold ideas in accordance with city, state and federal laws. Any excess funds must be used to help build winning organization’s innovation capacity. Please review guidelines and submit your application via the GNOF online grant module. Application period starts July 2, 2018 at 12:00 am CDT and closes on July 31, 2018 at 11:59 pm CDT. Applications will only be accepted via the online system. Submission of application signifies agreement to all the conditions set forth in this document. All applications must meet the criteria listed below and submissions will be evaluated on them. The three most promising proposals move forward to the finalist round. Proposals that are not submitted electronically will not be considered for funding. Questions? Please visit our Pitch It! FAQ or email Joann Ricci at joann@gnof.org.